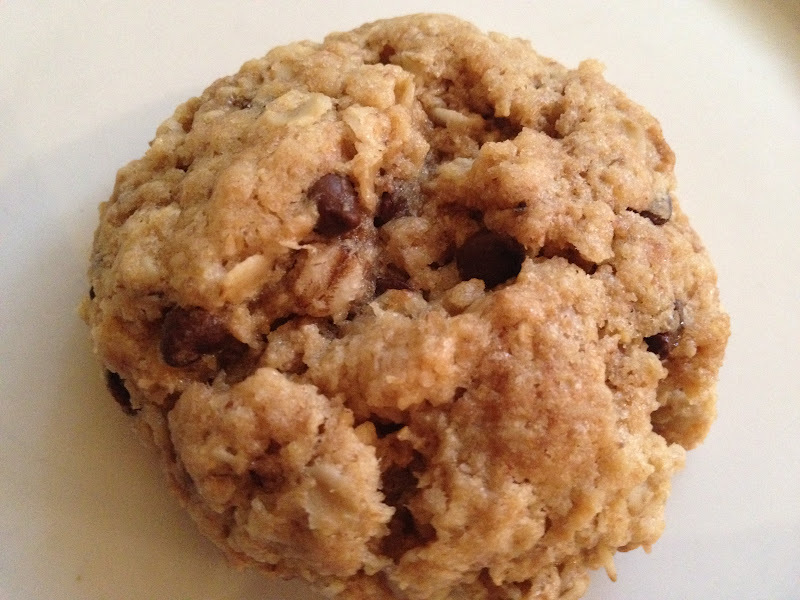 This is a combo of three of my cookies (Chocolate Chip, Oatmeal Raisin, and Chocolate Peanut Butter Love Cookies) in honor of National Peanut Butter Cookie Day! The come out crispy on the outside and soft and chewy on the inside. A perfect cookie. And not one left! Preheat oven to 350. Line a baking sheet with parchment paper. Make the flax eggs. Sift the flour over a big mixing bowl. 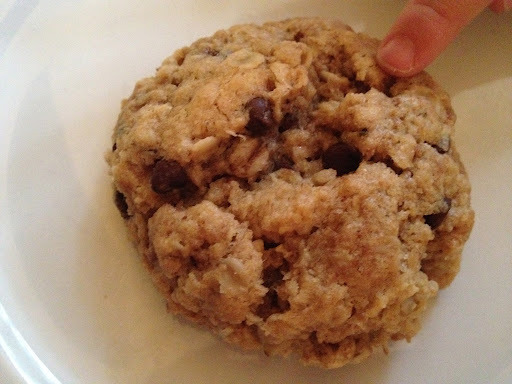 Add the oats, sugar, chips, vanilla powder, baking soda, baking powder and salt. Mix together with a fork. Add the peanut butter, oil and flax eggs. Mix well until cookie batter comes together. Using the ice cream scooper, scoop up the dough and pack it into the scooper. Drop each one onto the baking sheet. Bake for 18 minutes. Let cool. Enjoy!